Our product range includes a wide range of acoustic enclosure, blower machine enclosure and dg set acoustic enclosure. 5 Structural was analyzed by using structural analyze software. 6 We offered from small machinery acoustic proof to biggest valve test bed acoustic proof . We Manufacture the Enclosures for Blower Machine as per the requirements. Baffles cooling systems is specialized design and structural for the acoustic proof. 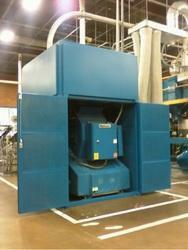 Acoustic Enclosure designed to reduce noise levels at source on new or existing machinery. It will help you to meet specific noise reduction requirements within factories or can be used to reduce noise pollution to the surrounding external area . Designing the acoustic enclosure , we considered ventilation and maintenance requirement . 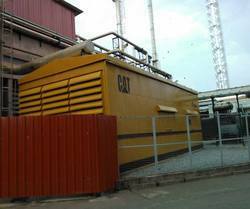 Acoustic enclosure is used for Diesel generator machine. Some companies only bought engines set for using operation but it will be created more noise due to without enclosure.Baffles Cooling systems offered for enclosure .we can measurable on site for actual noise range by using Noise level meter. Power Customizes as per technical requirement. Rated Voltage Customizes as per technical requirement.